MEASURE-BiH works on strengthening USAID/BiH performance management and project/activity M&E by improving its ability to identify, collect and analyze performance data and information. 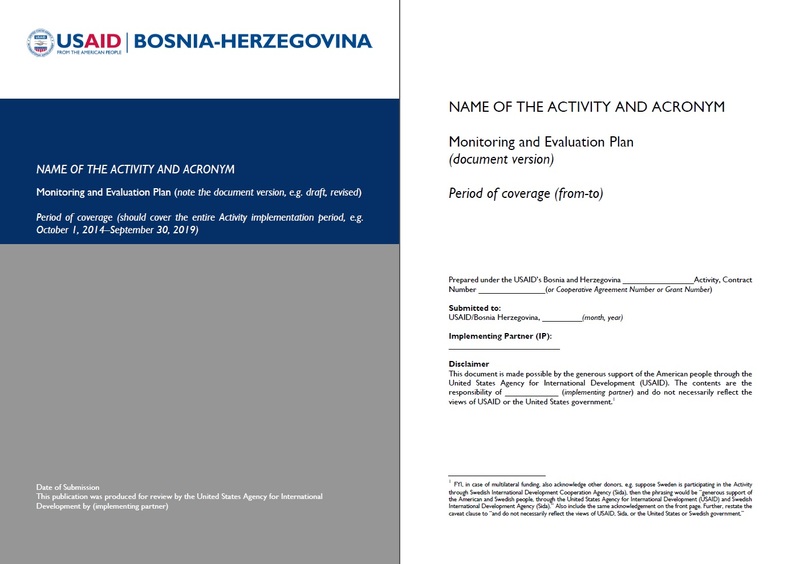 Within this work, MEASURE-BiH prepared a comprehensive Activity M&E Plan Template to facilitate and standardize the M&E planning and reporting by USAID/BiH implementing partners. Required explanation of the connection between the Project-level LogFrame and the Activity-level LogFrame.